Tired of going to the laundromat? Our fluff and fold services is very convenient and helps you save time . We offer services for both Residential and commercial customers. Wash: Our process begins with washing with the appropriate premium grade solvents. Dry: we use the latest state-of-the-art technologies to ensure that clothes are properly and efficiently dried. Fold : We then fold the clothes in an export manner so as to preserve their beauty. Our shirt laundry services are unparalleled in Downtown San Diego. We use a proprietary enzyme detergent designed to enhance the brightness of your shirts while leaving them gentle and without compromising their integrity. We know that shirts are important aspects of grooming and this is why we strive our best to offer you with quality shirt laundry services so that you can look your best at all times. 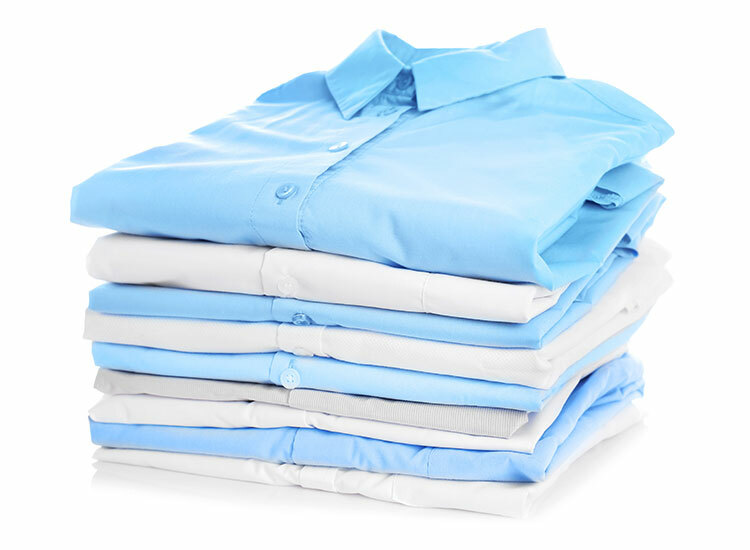 Our professional team knows how to take care of your shirts so that you are never worried about your shirt getting ruined whenever you bring them for cleaning. We are mindful of all the important shirt parts and those which require special attention so that they can always look at its best. Whether it’s the collars, the cuffs or the sleeves, you can trust us to take good care of your shirts. After the laundry is completed, we then package the shirts on special hangers with collar supports or each individual shirt is folded into custom packaging bags and made ready either for transport or storage on the shelves as they await collection.